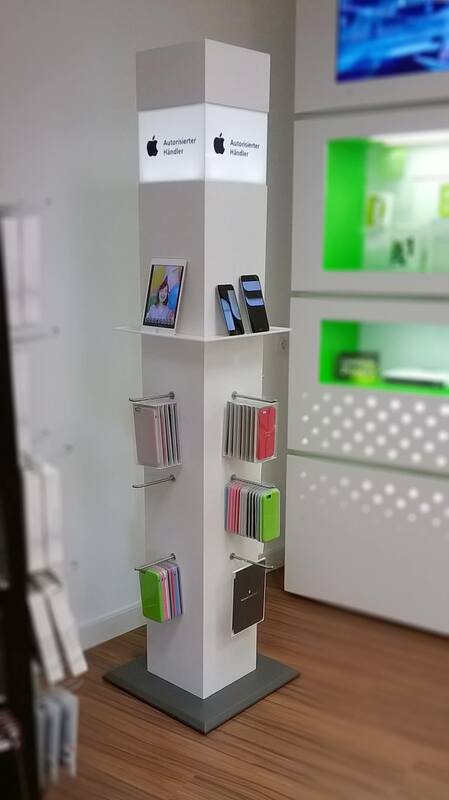 To enable a better positioning of the APPLE brand, Thomas Schadler and I have designed a POS piece of furniture for the display of iPhones and iPads for Apple Austria. Due to its slim and tall design the piece requires very little space within the sales area. Despite its lean size it can put up to four pieces of hardware and twelve different accessories on display. The basic structure is made from white lacquered wood. The logo is placed on translucent glass, which is lit from the inside, on all four sides. The devices are placed on the aluminum holder solely through the tipping angle and the cable hole on the bottom. 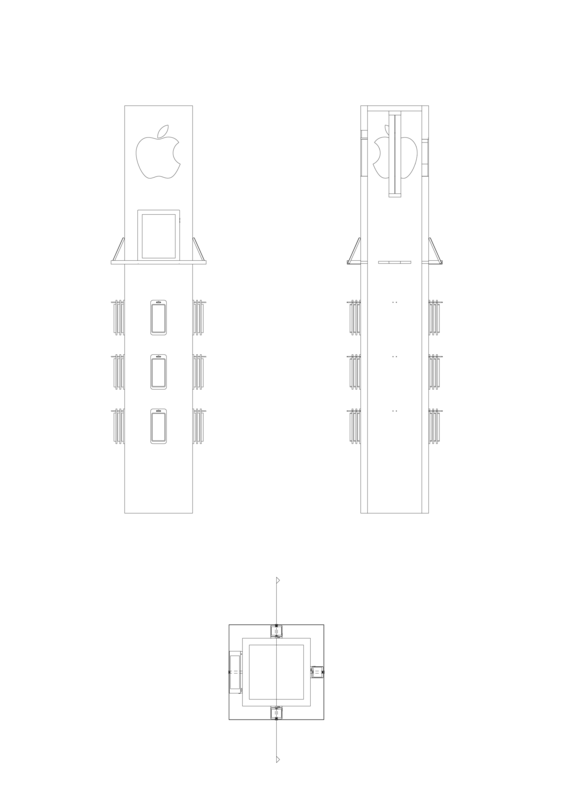 This enables the display of new devices with different measurements without having to modify the furniture. Each side allows for the placement of three different accessory at three pieces a row.